On September 16, 2016, Luoyang Dahua signed a cooperation agreement with LaserBond about purchasing 6KW laser cladding equipment. 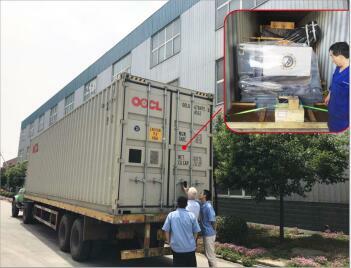 After eight months of expectation, the complete laser cladding equipment finally arrived at our company on May 24, 2017. On 25, under the joint efforts of Mr.Wayne, the executive director of LaserBond Company and our staff, both parts take careful inspection of the equipment to confirm the safety arrival. Since the signing of the cooperation agreement, the equipment has been fabricated, installed and commissioned for a period of half year, and finally shipping in April 2017. After one month shipment, the equipment arrived at the plant. The smooth arrival of the equipment marks a solid step forward for this project. Dahua as the first enterprise with remanufacturing capacity, we will provide high profits and bring more development space for the customer.